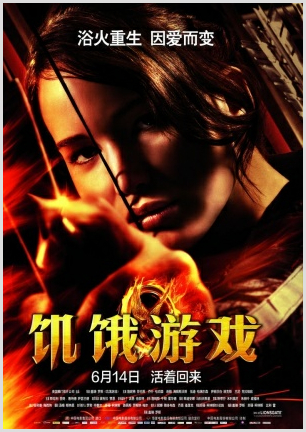 Lionsgate’s Hunger Games debuted last week to a middling $10.4 million box office total over its four-day opening in Chinese theaters, edging out Madagascar 3 ($8.8 million in its second week) for the #1 spot during the week ending June 17th. This marked the 22nd week in a row that a Hollywood film has topped the Chinese box office, and the 7th week in a row in which the top 3 spots were all occupied by American movies. During the just ended 13-week Spring quarter, U.S.-made films dominated the Chinese market like never before, taking 82 percent of all box office receipts. Domestically made Chinese films barely managed to eke out a 10 percent share, with only one local film, Galloping Horse’s action comedy Guns ‘N Roses, qualifying as a bona fide box office success, ranking 7th among all releases in the quarter with a total gross of $24.4 million. The trend should be equally worrisome for foreigners exporting their movies to China. Even though they may be winning the box office battle in the short term, there will be deleterious long-term effects if the domestic Chinese film production industry is suffocated by imports. On the one hand, theatrical revenues will only continue to grow if there is a balanced mix of local films and foreign ones; if there are just 34 imported films each year that draw meaningful business, then revenue will plateau as commercial breadth stagnates. And on the other hand, backlash from the sensitive state-run government movie administration seems ever more likely as frustration grows over China’s inability to reliably make films that anyone wants to see. State measures designed to crimp the dominance of Hollywood films could be quickly and easily implemented as a way to quell the Communist Party’s persistent concerns about the encroachment of western culture. As of this writing, it has been 8 weeks since a local Chinese film opened with even $2 million in nationwide receipts, and the numbers continue to fall at an alarming rate as Hollywood’s film releases predominate. But far from congratulating themselves, American producers and distributors should be scrambling for ways to help jump start the local Chinese cinema before they find they have completely worn out their welcome.